Tarragon is an smell-good herb traditionally used in French cooking. 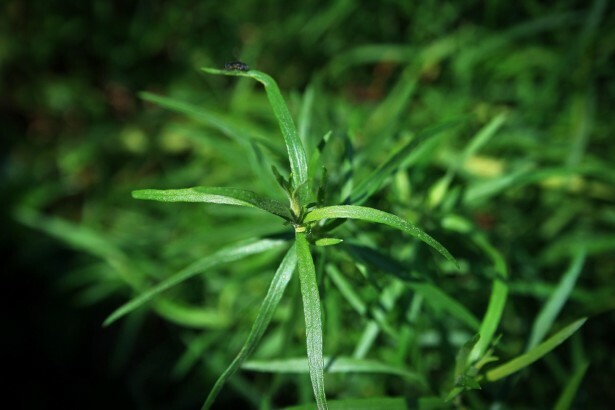 Recent research shows that tarragon has many medicinal benefits on top of its amazing smell and feel-good taste. Tarragon stimulates the body’s natural digestive juices, starting with saliva and ending with the moving of waste. The French have used tarragon for centuries to adorn their culinary creations. Get your little one appreciating fine cuisine early! The French have traditionally used tarragon to treat insomnia and help with sleeping. ZZzzzzzzz are good!